Deciphering evolution: Does the survival of a species depend on its fertility? 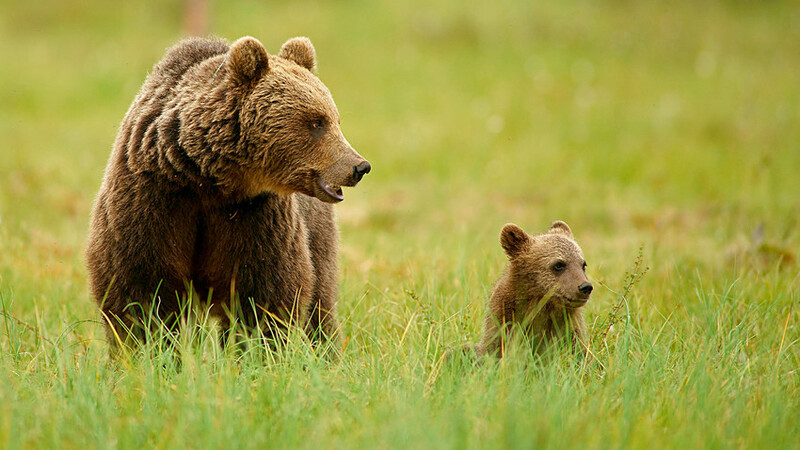 In a bear the mortality rate for cubs is determined mainly by their genotypes and not by accidental causes. Natural selection against harmful mutations doesn’t depend on the body’s fertility, claim Russian biologists. Fertility and the number of offspring have nothing to do with a species’ survival. In various species, the number of offspring produced by one creature in the course of its lifetime varies enormously; for example, ranging from only a few cubs for a she-bear to millions of eggs for cod. But does this mean that cod have a better chance of surviving climate change and harmful mutations? The answer is No. In a bear the mortality rate for cubs is determined mainly by their genotypes and not by accidental causes. At the same time, many cod die for random reasons, regardless of the quality of their genomes. Natural selection directed against harmful mutations works with equal force in different species, regardless of their fertility. Why does the power of natural selection not depend on the observed spread of the number of offspring? To understand this, scientists at two Russian universities, Skoltech and Moscow State University, investigated the prevalence of particularly harmful mutations that lead to the breakdown of important genes in populations of 35 different species. In different species, regardless of their fertility, selection against especially harmful mutations has approximately equal force. Scientists believe that accidental mortality can offer better opportunity for selection in more prolific species. The results of the study were published in Biology Direct.